A serial killer is on the loose and only you can stop the Phantom! The story focuses on Koyama Kazuki, a young detective employed by Igrasil, an agency that investigates murders that the authorities have deemed unsolvable. While working on several, seemingly unrelated cases, you’ll find clues pointing to the person who killed Kazuki’s parents. Can you stop this new cycle of death before it’s too late? Kazuki’s partners include the crazy and funny Ishikawa siblings; Kaoru Moriyama, the daughter of a millionaire and founder of the organization; and Suzumi Misao, the head of the organization. With a delightfully quirky cast, players will form bonds with the main characters while trying to solve the overarching case of the Phantom Killer, a criminal with a flawless track record. Spanning over 30 hours of playtime and divided into five action-packed chapters, there are 70 possible decisions that will affect both the protagonist’s romantic interests as well as the story’s conclusion. While the game is appropriate for players of all ages in its current state, there will be additional, adult-oriented content added at some point in the future. This content (“IF MODE”) will arrive in the form of four unlockable episodes, each featuring a different female Igrasil member. A beach-themed episode, packed with fan service, will also release alongside these episodes. 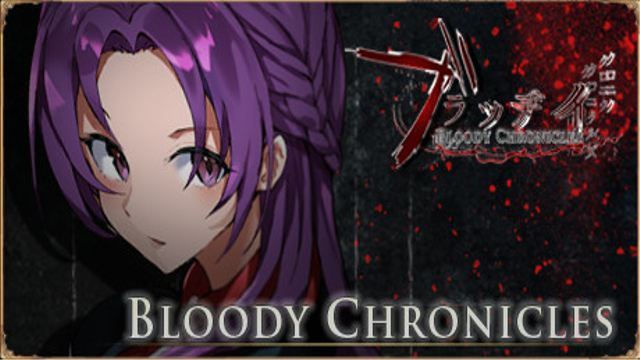 Bloody Chronicles – New Cycle of Death was developed by Igrasil Studio, an international team with members from the US, UK, China, Poland, and Japan. It is currently on sale through Steam as an early-access version. It is normally priced at $24.99, but is currently marked down to just $19.99 until December 20th, 2018. The development team will be collecting player feedback to improve upon the game before it sees its full release in February of 2019. It is also worth noting that this is just Act 1 of 3. Acts 2 and 3 will see a release at some point in the future. If you’d like to learn more about the game you can check out its official website. Alternatively, head on over to Igrasil Studio’s official website for development notes and other such updates. Finally, be sure to stay tuned as we have a review planned for this title in the near future.